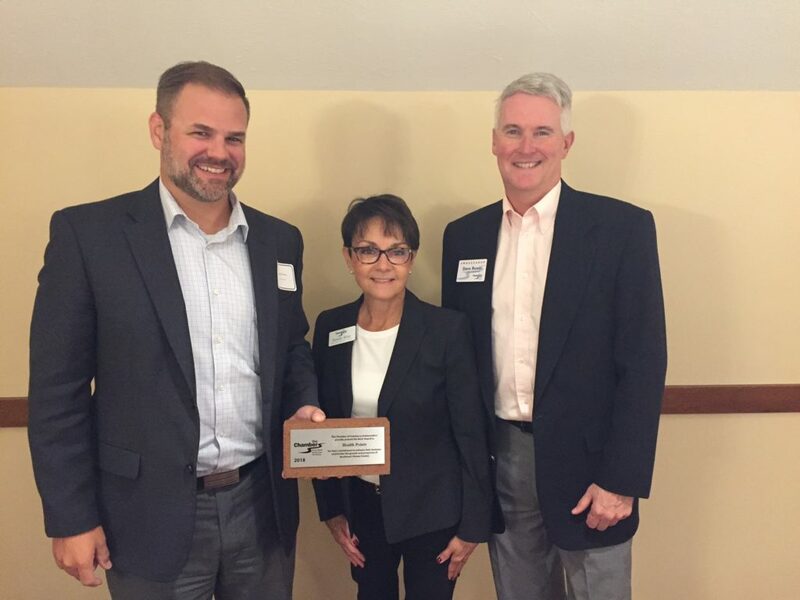 GRAND HAVEN, Mich., September 21, 2018 — Health Pointe received the Brick Award from the Chamber of Commerce during the Early Bird Breakfast. The brick award is given to local businesses or organizations in the area that help better our community from enhancing their facility to bringing new jobs. Health Pointe is an integrated care campus located in Grand Haven, Michigan with 250 physicians, advanced practice providers and other health care professionals. Formed through a partnership between Holland Hospital and Spectrum Health, Health Pointe offers primary and specialty physician care, urgent care, laboratory and radiology (including CT and MRI), outpatient procedures and surgery. Patients have the added convenience of single patient check-in, shared medical records and seamless coordination of primary and specialty care. Saturday to Sunday 8 a.m. to 4 p.m.
Monday to Friday 6:30 a.m. to 5 p.m.
Saturday 7 a.m. to 11 a.m.